Dance This Summer At Legacy! Summer Dance Classes for ALL AGES! Refer a Friend to get a $20.00 referral credit, after they pay for at least 1 month payment installment and registration! The Place Where Port Orange Dances! At The Legacy Dance Studio, we take pride in providing the best dance education while keeping classes modern, safe and always FUN! Located at the Tuscan Village Shoppes in Port Orange, Fl. At Legacy, you can expect a creative and disciplined environment for your dancer, instilling proper dance technique and progressions, to ensure each child reaches their fullest potential. 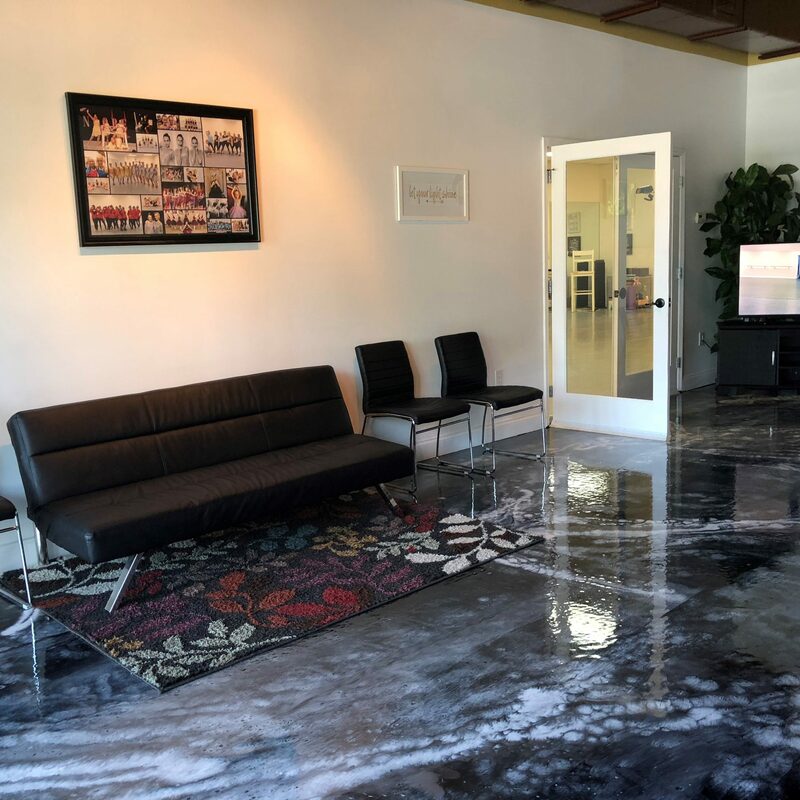 Enjoy our spacious lobby with comfortable seating, dressing rooms, LegacyTV, Complimentary Water, Large Dance Studio Space with Professional Floating Stagestep Flooring, Vita Vibe Ballet Barre System, Sony Sound System and Speakers and more! Dance Classes are divided by age, ability and style of dance. We offer classes in Pre ballet, tap and tumbling, hip hop, acrobatics, ballet, pointe, jazz, tap, hip hop, contemporary and leaps and turns. Performance opportunities can be expected at community events, competitions, Showcases and more! We understand at Legacy Dance Studio what it takes to provide the necessary training to not only be a creative and artistic dancer, but a dancer with strong fundamentals and amazing technique. We pride ourselves in providing exceptional choreography in ballet, tap, jazz, contemporary, and hip-hop. Whether you’re looking for recreational classes, are interested in competing or want to take your dance abilities to the next level and make dancing a professional career, The Legacy Dance Studio is the place to be for Daytona Beach, Port Orange and New Smyrna Beach Areas! "My daughters have both been dancing for a few years with Shannon. When Shannon opened up her own studio it was a perfect fit for our family and we couldn't be happier!" "My daughter has been dancing with Ms. Shannon for several years. We were overjoyed to hear she was opening her own studio. My daughter has learned so much this year at Legacy. Shannon is patient and critiques with love to build character as a dancer. We are very happy with Legacy Dance and would recommend to anyone." "Shannon Thomas did a beautiful job choreographing my dance solo for a high school pageant. She understood my style and showcased my strengths. For the past 4 years I have been able to participate in numerous group dances she has choreographed including jazz, hip hop, lyrical, acro, and modern. Her unique dance is reflected in each dance . She is always up-beat and makes learning choreography fun from simple to challenging routines." "I had the opportunity to meet Shannon in college and it is obvious that dancing runs through her veins. She is an excellent dancer/instructor and choreographer with an unparellled passion for the art. Her creativity and and personality shine through in all aspects of her life. I would highly recommend her to anyone wanting to improve themselves in the performing arts arena." "I danced with Shannon for many years throughout school. She was 100% passionate about dance from the time I met her when she was 11 years old. She still carries that same excitement and love for dance as she did back then. Shannon has a gift for choreography; I love her work. She has a unique ability to capture the feeling of a song and create performance art from it. Anyone who has the priveledge of learning from Shannon will be better because of itless." "Mrs. Shannon I just wanted to take a quick second and say thank you for teaching us dance in papillon and taking time out of your day to do that. I've noticed at the DSC dance practice that I move so much bigger now like how you taught us to. Especially when I used to dance so small. So thank you for helping me improve." "Shannon is a high energy, cutting edge choreographer who is passionate about helping her students dance from their hearts. Shannon's style adapts well to students of different levels and technical abilities. She understands and uses multiple choreographic elements that make her work fun to perform and entertaining to watch. " "Having taught Shannon in my high school history class and witnessing her personal dance performance successes, I was always amazed at her incredibly strong sense of self coupled with unexpected humility. Her years of continuous schooling and professional teaching have helped her further develop along those same lines. Shannon is sensitive to the needs of her students, while at the same time, encouraging younger dancers to grasp for the proverbial brass ring while always questioning the means to reach a student even more effectively. I was honored when she accepted my offer to work with my team at Spruce Creek and my semi-professional performance troupe based in Orlando. Shannon's gifted sense of communication reaches audiences from 8 to 38 with no problem."